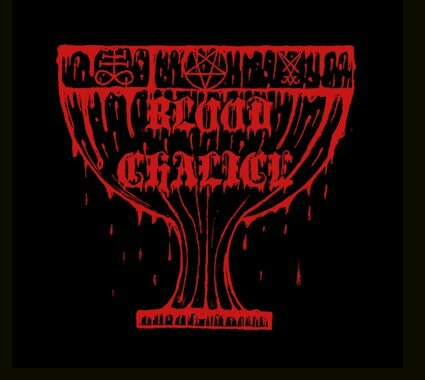 Blood Chalice are a band from Finland that plays bestial mixture of black and death metal and this is a review of their 2016 demo which will be re-issued on October 26, 2018 as a joint effort between Blood Harvest Records and Helter Skelter Productions and the physical copy comes with a live dvd set. A very fast and brutal war metal sound starts off the ep along with some angry black metal screams while the tremolo picking also gives the songs more of a raw feeling along with some bestial growls also being used at times as well as the music bringing in a great amount of early 90's Finnish influences. A small amount of dark sounding melodies can also be heard in the guitar riffing while the songs also bring in a great mixture of slow, mid paced and fast parts along with the music always remaining very heavy, raw and brutal sounding as well as no guitar solos or leads ever being utilized. Blood Chalice plays a bestial mixture of war, black and death metal that goes back to the early 90's era of the genre, the production sounds very dark and raw while the lyrics cover Satanism, Necromancy, Blasphemy and Darkness themes. In my opinion Blood Chalice are a very great sounding bestial mixture of black and death metal and if you are a fan of those musical genres, you should check out this band. RECOMMENDED TRACKS INCLUDE "Necromancy" and "Unholy Gratification". 8 out of 10.